Dress A Girl Around the World is part of a larger ministry called Hope 4 Women International (H4WI) that sponsors women in Uganda and the Philippines with microloans for them to begin small businesses. Sponsorship can change the life of a woman and her family. The ladies enter a one year program where they receive training in Math, English, Reading and Biblical Principles of Business. They also receive gardening supplies and training in how to make a garden grow in their area. For just $36 a month, you can change the life of a woman and her family. Email Lisa@h4wi.org for more information. Christmas 2017, in lieu of a gift exchange with each other, we decided to donate the money we would have spent on gifts and instead sponsor a woman. WELL...we ended up with enough to sponsor FOUR women!! You can meet them below. 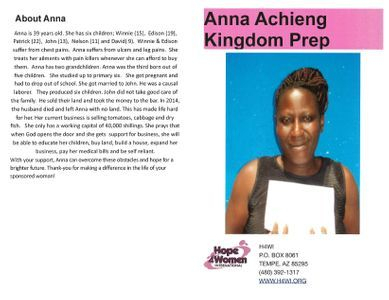 Click here to see how sponsorship helped Anna! Click here to see how Anjela fared after a year of sponsorship! 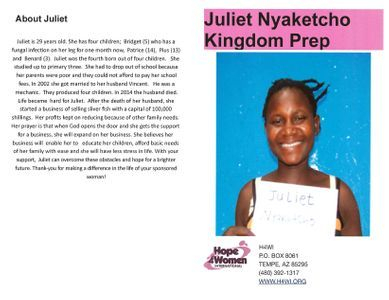 Click here for the update on Juliet after her year of sponsorship! 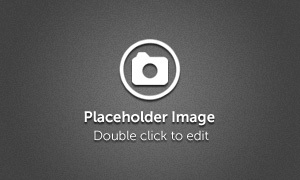 Click here for details on Jennifer used her sponsorship! For more information, please contact DAG Bay Area Ambassador, Suzanne Beck or visit the national DAG website.